I was impressed with how quickly the woman who owns the company called me back. She was very professional. I couldn't be happier. They were just absolutely awesome and went above and beyond and did things other company's wouldn't. They did awesome work and didn't stop cleaning the whole time they were here and they are very professional. Della was very kind and Professional. She helped me when there was no one else to do the work. The crew did a great job and I would recommend them to anyone. Thanks Helping Hands for being there so that I could be done with my move worry freely. A company that truly tries to make the customer happy with excellent customer service and house cleaning. Comments: OMG... I hate nasty tenants! I was so very OVERWHELMED at how the disgusting my kitchen & 2.5 bathrooms were left. I was almost in tears because I am disbled and knew that there was no way I could clean this mess myself. 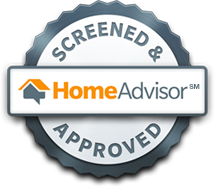 I contacted Home Advisor on Saturday, April 9th and they put me in touch with Della of Helping Hands, whom I hired. Yes, I paid more for weekend rates, but my home was that nasty. When Della & Katie (?) arrived, I was almost in tears. But they assured me that "Things will be okay". Although it did not seem that way at the time, they got all 4 room cleaned in the time they quoted and cleaned to my standards!! I was soooooo very greatful. I was so very thankful. I would absolutely recommend them and if I could give them a star up in the heavans I would!! Thank you Helping Hands!! I had a good experience w/ this company. My situation was a little difficult, but they were accommodating. The two women that showed up was nice, professional and had all their equipment. I walked them through what I had discussed w/ the owner and they said they had no problem getting the work done. When I returned, the women were finishing up and had done a good job. The one had a tough bathroom to clean and done a great job. The other women did the rest and even was nice enough to do extra dusting on some lights that I didn't even ask, but said she saw it and just did it. I was really appreciative for their help going above and beyond to do a good job. I would hire them again. If I ever decide to add cleaning on a regular basis I won't hesitate to call them. These ladies went above and beyond what they were hired to do. Della runs an ethical organization. Very personalized service, not a large company so I can have the same people each time. Competitive pricing with quality work. We've hired Della and her crew on several occasions to assist with preparing for cleaning after different events we've had at the house. They've always exceeded our expectations. Even attended to rooms if there was available time left on the initial quote. I've used two other services before and this was the best yet! The girls were very polite and did a very thorough job. My stepfather was very impressed and looked forward to having them return on a bi-weekly basis to clean the interior of the house. It has been challenging for me to get him to agree to let someone come in to the house to clean, so I am very happy he is pleased with the service. They did an awesome cleaning job and did not stop until they got it done. It was a move in cleaning. Definitely going to use them on my move out of my other home. They customize the cleaning to your needs. Thats really a great help when you have special events or projects. Della, the owner, is very involved and in touch with her employees and jobs. She is very thorough and professional. There are a few thing that I will be more specific about wanting cleaned next time. Overall I am thrilled with my clean home, I will be calling Helping Hands again. They did a great job and worked around all my daycare children. I will definitely be calling them again! The wood floors look beautiful! House looks really good...... I just can't get over the wood floors. Good job. This is the first time in a long time that my husband and I looked around and said "The house is clean." The young ladies that arrived were very professional and personable. I appreciated the hard work and attention to detail, asking if there was anything in particular that needed their attention. Very nice! An initial miscommunication on the arrival day and time was handled in a courteous and professional manner which is rare in the service industry. My hats off that customer service is at the forefront of this business. I recently moved to Columbus and was concerned that I would not be able to find a great cleaning service; I was spoiled by the wonderful team I had in North Carolina. I had a terrible experience with another company a few weeks prior to my appointment with Helping Hands; I was worried this would be the norm. The ladies from Helping Hands were prompt (precisely on time! ), professional, thorough, and pleasant. They also finished cleaning in less time than initially quoted and charged me accordingly.